As expected, the 2015 General Assembly session is off to a busy start. The General Assembly convened at noon on Wednesday, January 14, and House and Senate members are busily reviewing legislation in committee. With only 46 days in which to consider legislation and balance the budget, the session promises to pass quickly. Following are details about the week's activities as well as some of my introduced legislation. The first day of session was marked by two notably different perspectives on governing. Speaker Bill Howell opened the session by highlighting common-sense legislative priorities such as reforming the K-12 educational system, reducing the cost of higher education, raising ethical standards, and adopting a responsible budget that funds core government services without raising taxes. To view Speaker Howell's remarks, click HERE. Later that day, Governor McAuliffe delivered the annual State of the Commonwealth address. In sharp contrast to the Republican initiatives, Governor McAuliffe proposed an agenda highlighting Medicaid expansion and spending measures such as raising state employee salaries. Notably missing was a means by which to fund new expenditures. To watch Governor McAuliffe's address, click HERE. Much like last year, the General Assembly is tasked with balancing the budget and addressing a shortfall. While Governor McAuliffe has proposed measures that will increase the tax burden on our coal industry, I remain committed to cutting wasteful spending and prioritizing government's core functions. Virginians already bear a substantial tax burden, and I do not support increasing taxes on hardworking citizens. Please don't forget to complete my 10-question online survey: Delegate Pogge's 2015 Session Survey. As a supporter of limited and accountable government, I am this year carrying legislation pertaining to the Virginia Freedom of Information Act. House Bill 1646 allows a court the option to invalidate a meeting if the public body (i.e., Board of Supervisors, School Board, Planning Commission, etc.) violates certain meeting notification requirements. The bill has been assigned to the Civil Law subcommittee of the House Courts Committee. Click HERE for tracking information and the full text of House Bill 1646. During this short session, delegates are limited to introducing fifteen bills (there is no limit, however, on the number of commending or memorializing resolutions that may be introduced). The deadline for filing legislation is next Friday, January 23, so expect to see additional bills filed in the upcoming days. For a full list of my legislation, visit http://leg1.state.va.us/cgi-bin/legp504.exe?151+mbr+H203C. To track or search for legislation, visit http://leg1.state.va.us/cgi-bin/legp504.exe?151+men+BIL. Despite Wednesday's icy weather, the General Assembly Building was bustling with visitors and activity. Throughout the week, I've enjoyed seeing constituents and friendly faces from the district. A few of my visitors are listed below. 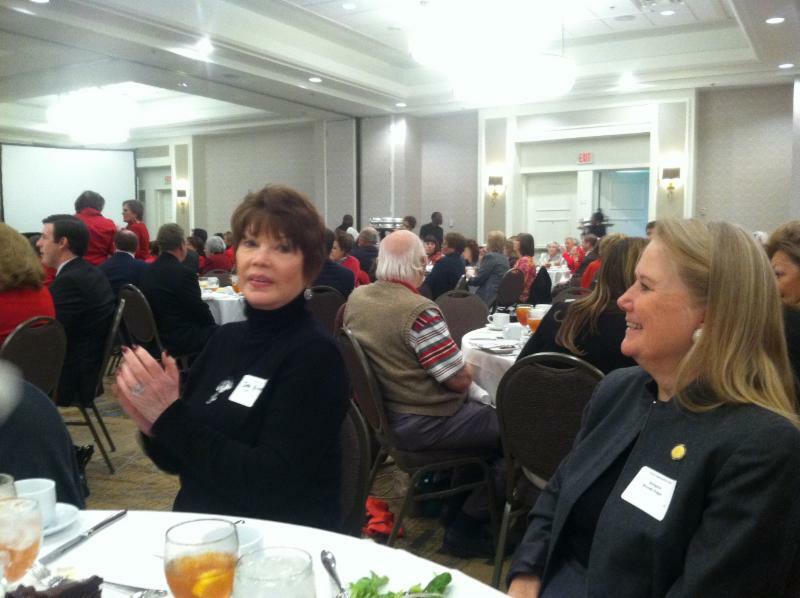 Additionally, I had the opportunity to attend the annual luncheon sponsored by the Virginia Federation of Republican Women. 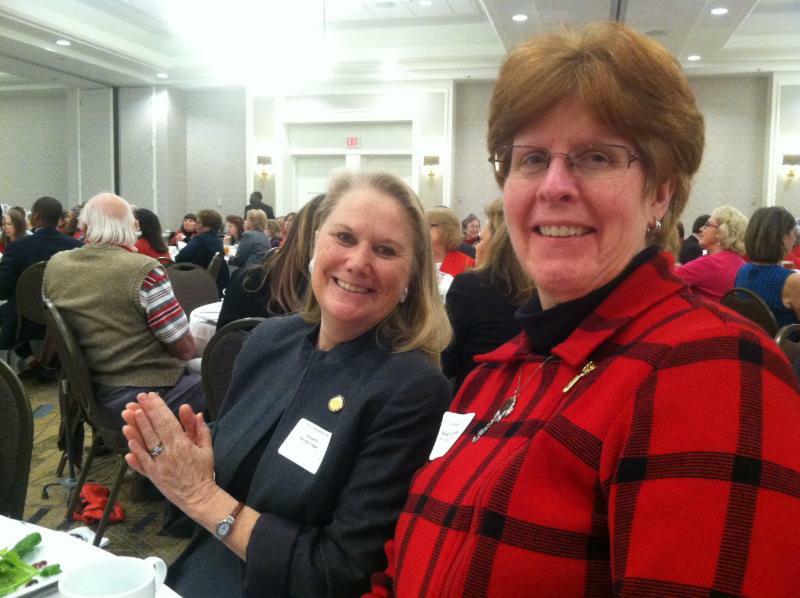 These ladies are the backbone of the Republican party, and I was thrilled to see so many attendees from the York Republican Women's Club, Jamestown Heritage Republican Women's Club, and the Historic Triangle Republican Women. If your travels bring you to Richmond between now and February 28, please visit me in my General Assembly office. The General Assembly Building is located at the corner of 9th and Broad Streets, and my office is in room 403. For information about parking, visit http://www.virginiacapitol.gov/visitors.php?p=visit_during_session. As always, I may be reached by phone at 804-698-1096 or email at DelBPogge@house.virginia.gov.